Attention: Currently our open canal boat isn’t available. Our open canal boat is available between the 15th of April and the 9th of October. Please take a look at our canal cruises, private canal cruises or events as an alternative. Open canal cruise or open boat tour? 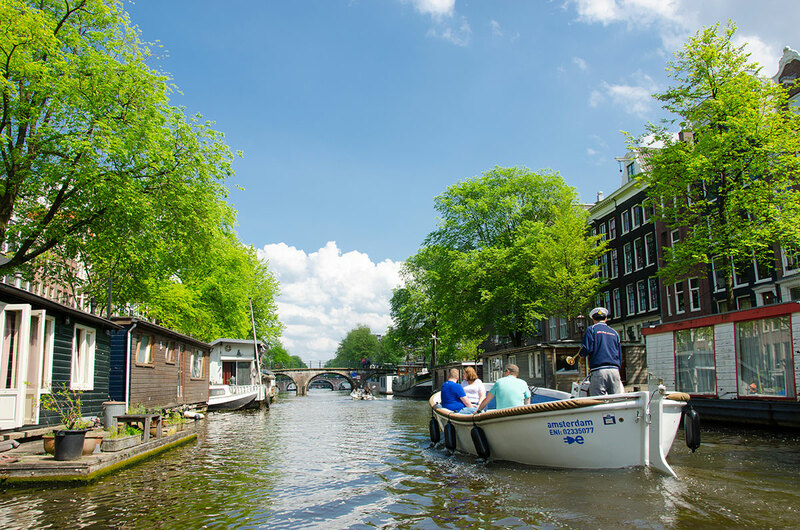 If you want to enjoy the weather and scenery fully, the open canal cruise is the way to go! 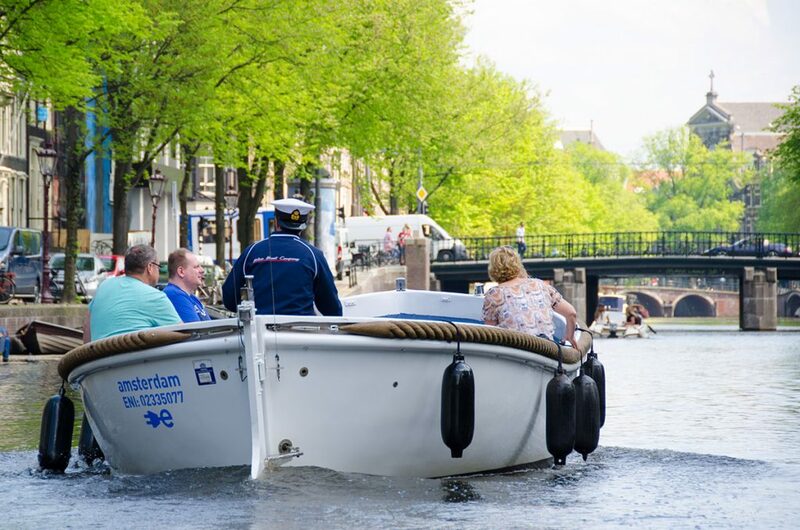 In a convenient open sloop you will take a 75 minute tour of the canals. Because of the size and the design of the open boat, this canal cruise will take you places the traditional boats can’t reach. This will give you an even better view on all of the beautiful and special places and highlight Amsterdam has to offer. Because of the size, design and lay-out of the boat, you will be in direct contact with the skipper, who is happy to explain all the sights and highlights of the City. 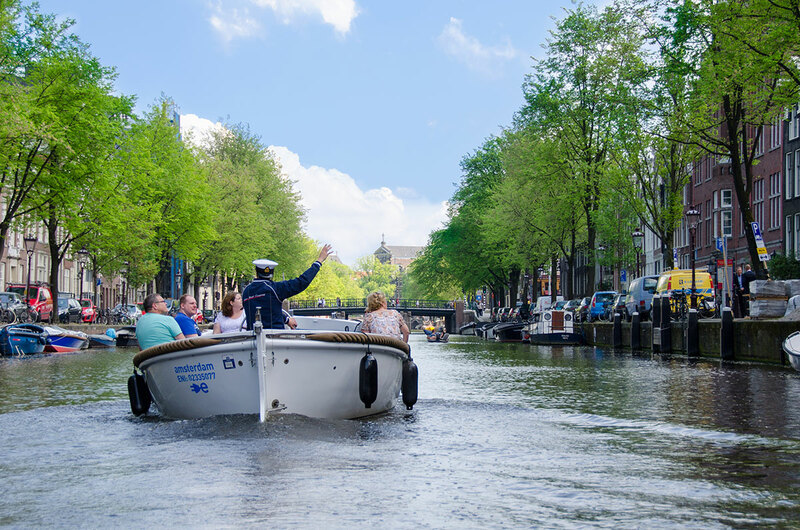 This makes your canal cruise through Amsterdam an experience you will never forget! Small open boat tour -see more! So glad we decided to do this rather than the big boat tour. We lucked out and had only 4 on our boat (could fit 20+ easily). Brought beer, wine and sandwiches, sat back and enjoyed exploring the canals through the middle of Amsterdam. Tour guide/captain was very nice and explained the sights. We went for the small open boat tour which was only 2 euros more expensive than the big boat, but it was totally worth it. First of all the small boat is open and you have a much better view, and if you are lucky, like us, nobody else booked, so we actually had a private tour. Our guide, captain Jack, was really fun and he likes to play the trumpet in the canals, which was a nice touch to the tour. It is really worth doing this since you get a feel for the city. 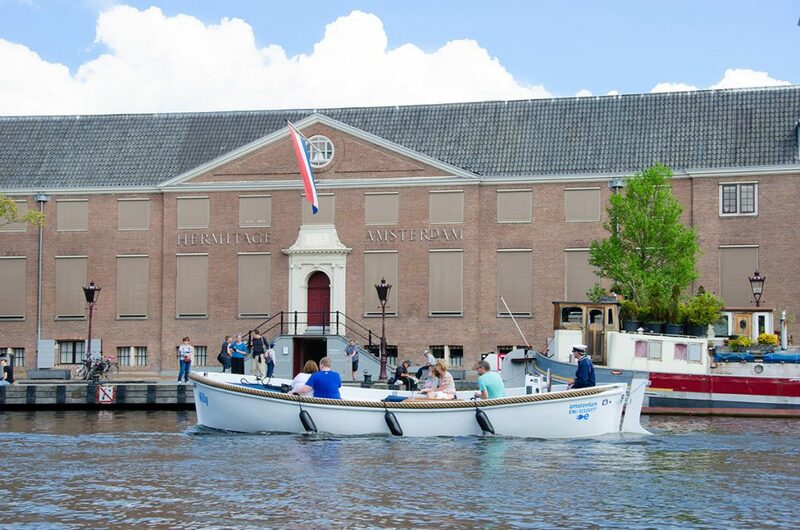 Between the 15th op April and the 9th of October the Open Canal Cruise will depart daily weather permitting. 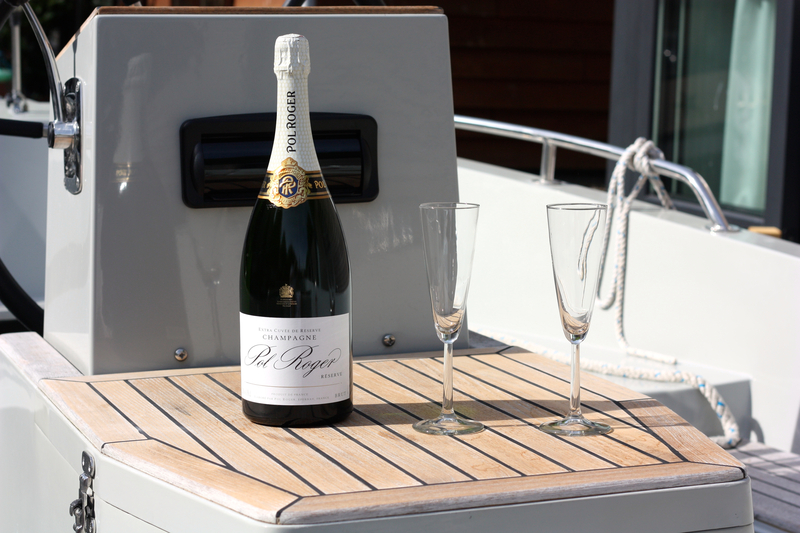 You can board our sloop at the following departure times: 10.45-12.15-14.15-15.45-17.15. During high season and on warm days there will be extra trips at 18.45 and 20.15. If you have booked open boat tickets online, you are free to choose a day and time to make your canal cruise (first come first serve). 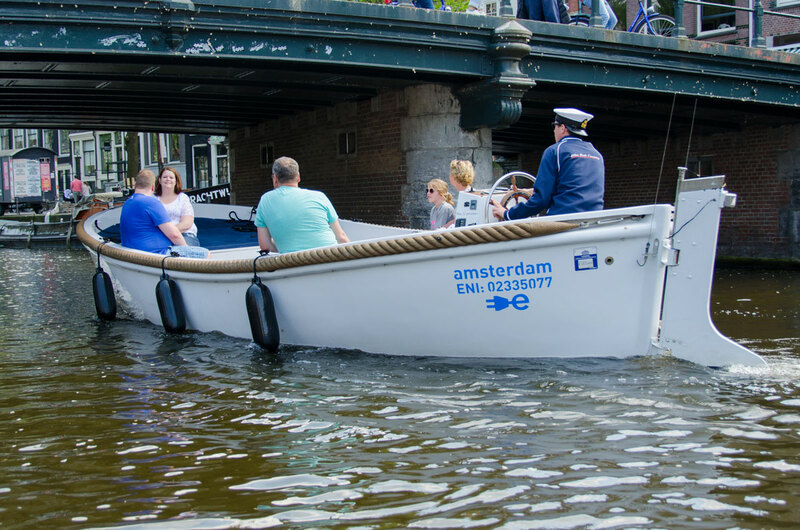 If the weather is not in favour of the open boat, but you still want to make a canal cruise, it is possible to change your ticket at the cashier’s desk for a ticket on the traditional covered boat free of charge.